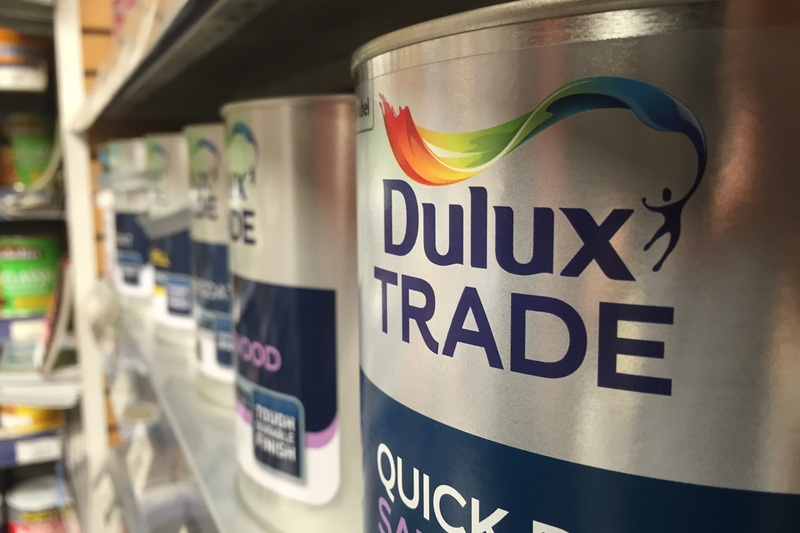 The difference high quality paint can make to the end result should never be underestimated that’s why in store we offer Dulux Trade’s exceptional range of paint products. On our shelves, we stock the basic colours (White mainly, some black and magnolia) in Emulsion, Gloss, Satinwood and Eggshell. Alongside this we have Dulux Trade’s entire catalogue of colours that can be mixed on site within minutes, ranging in size from tester pots up to 5L tins, in various bases, priced competitively in our local area. See here for more details. Other ranges include; Timber and Fence Care products, Spray paints, small Enamel pots, and even special ranges like ‘Shabby Chic’ Furniture paints and Hammerite’s Metal paints. For expert advice from our friendly and knowledgeable staff pop in or give us a call on 01494 872219 and we will point you in the right direction.